I first enjoyed this yummy granola at a cozy bed and breakfast. The bed may have been cozy, but this GRANOLA was the best. I've got the recipe. 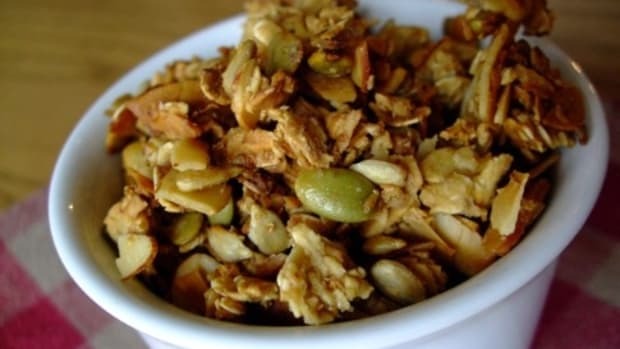 I first enjoyed this yummy granola as a teenager while vacationing in St. George, Utah. My mom was working as the food editor for the local newspaper and had arranged a stay at a bed and breakfast called the Seven Wives Inn. The bed may have been cozy, but woah – the breakfast, this GRANOLA, was memorable, even for a teenager on spring break. 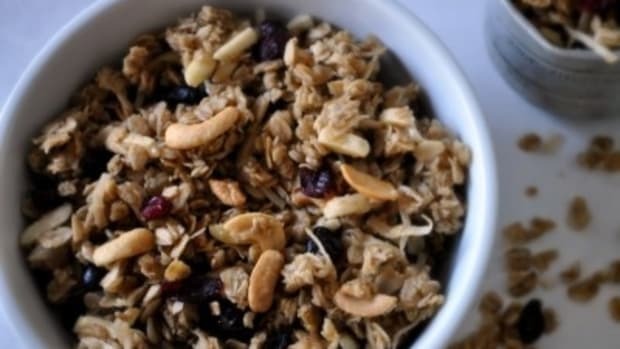 In the twenty years since that visit, this bed and breakfast’s granola recipe has become an old friend. 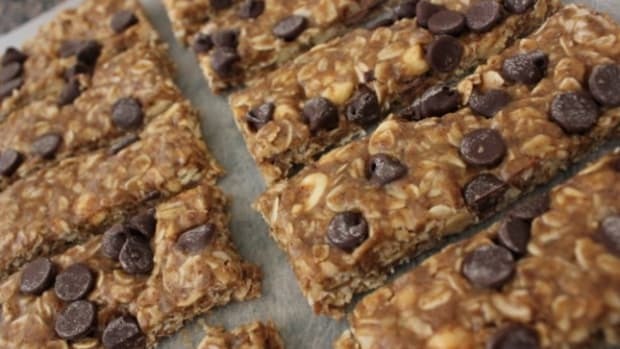 It’s been made hundreds of times – for breakfasts, for brunches, to take on hikes, to eat as an afternoon snack, to gift to neighbors and even just to have in my freezer for those days when I need to feel like I’m on vacation again. Enjoy! Mix the first seven ingredients (and any optional dry ingredients) in a large bowl. Heat water, oil, honey and peanut butter until bubbly. Remove from heat and add vanilla. Pour mixture over dry ingredients. 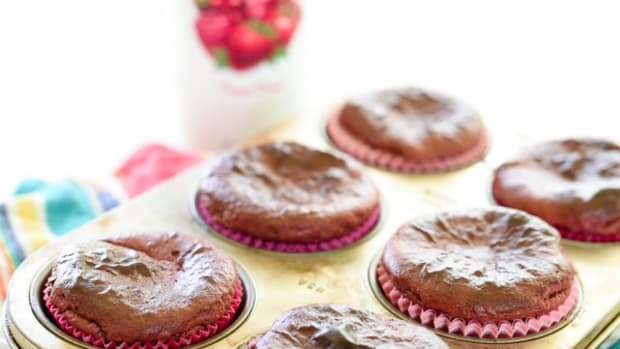 Mix well and spread on two large cookie sheets. Bake in 200 degree oven for about one hour. Stir occasionally while baking. Add raisins or dried cranberries when cool. Store in an airtight container. Recipe tips: I’m generous in measuring my nuts and coconut. Raisins get picked out at my house, but dried cranberries don’t -- go figure. 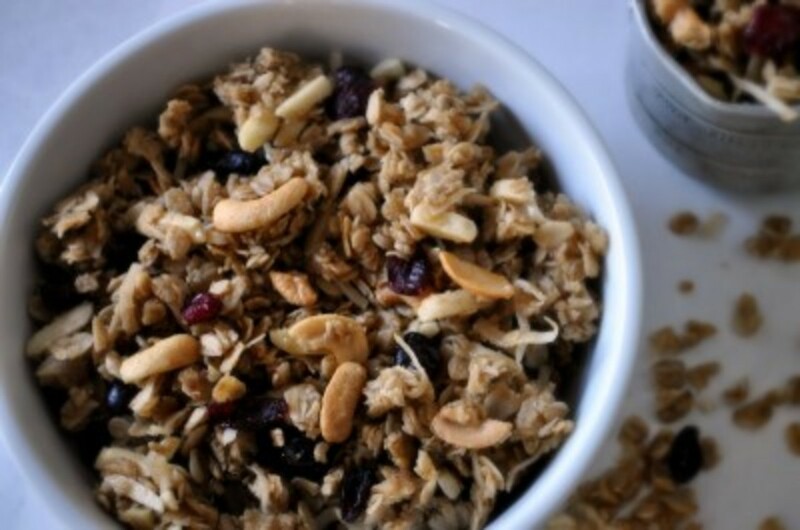 Adjust your cook time depending on your granola style—Chewy = 40 minutes Crunchy = 90 minutes. And if you need a gluten free option, just skip the wheat germ. 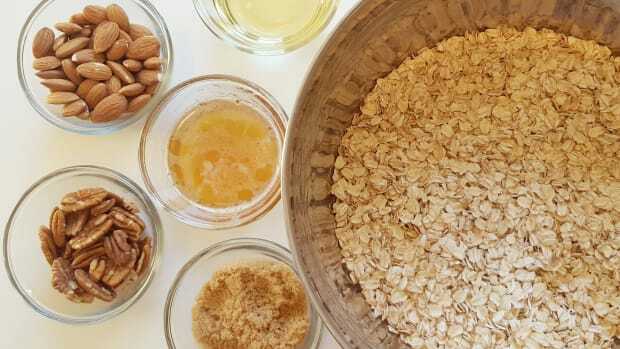 One of the staples at my house is this homemade granola recipe that I’ve cobbled together over the years. 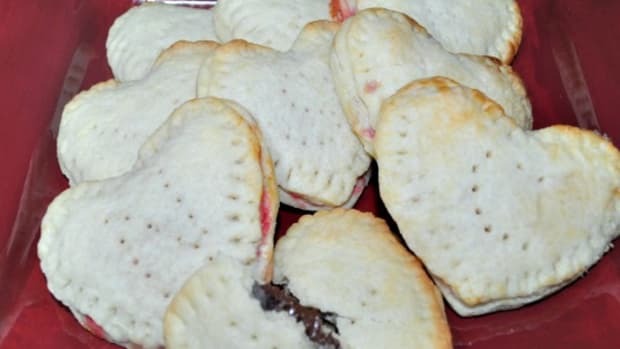 It is wonderful with yogurt, on ice cream or by the handful. Don't let macarons intimidate you. 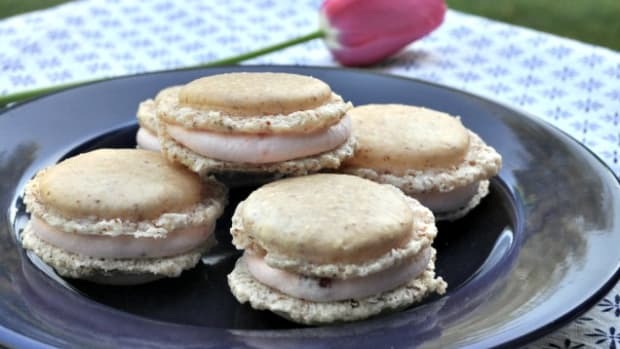 With practice and tips from Tartlette, Helen Dujardin, you'll be making hazelnut macarons like a pro! 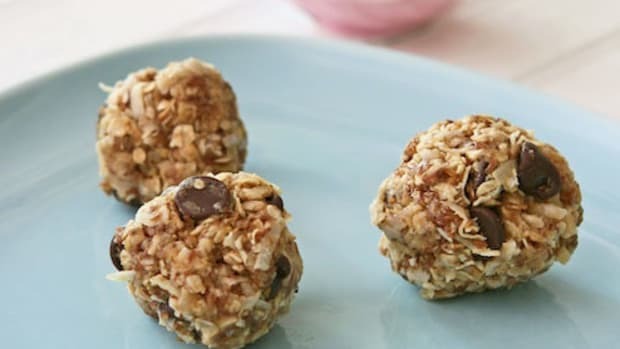 When I saw these little gluten free no bake cookies I figured I could justify these little guys. Lots of the things I love: peanut butter, coconut, almonds, honey, and flaxseed.